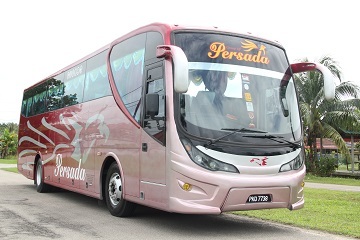 Persada Express an operator under the management of Persada Travel & Tours Sdn Bhd, based in Kedah. Persada Express provides trips to an array of destination such as, Sungai Petani, Guar Chempedak, Gurun and more in Kedah, Genting Highlands, Selangor, Kuala Lumpur and more within the borders of Peninsular Malaysia. Persada Express operates in many main bus terminals in the land, including Terminal Bersepadu Selatan, Terminal Amanjaya, Klang Sentral and more, making it convenient and easily accessible for fellow passengers. CatchThatBus offers online bus tickets to many routes covered by Persada Express as well as seat availability features. You can book your bus ticket online from our website or via mobile app which can be downloaded for free on Google Play or App Store.